Coming into the final match of last season, Edinburgh were low on confidence and even lower in the Pro12 standings. The team had lost eight league matches on the bounce before finally notching a narrow win over the Dragons; and even that jailbreak required three tries inside the final ten minutes. Edinburgh had never won at Scotstoun and their last victory in the city of Glasgow itself came 14 years ago. Their newly-appointed coach Richard Cockerill was in Toulon at the time but the little Englishman was keeping a weather eye on his new club, he saw the storm clouds gathering ahead of the Glasgow game and he called Edinburgh’s managing director Jon Petrie to share his concerns. “I called JP and I said to him; ‘I just hope we play well, I just hope we don’t get thumped’,” says Cockerill. If the joy of sport is its unpredictability then the 1872 derby fixture will be around for a while to come. Glasgow have been the better side over the piece but Edinburgh have won the cup in two of the last three years and even last season they finally got that Scotstoun monkey off their back to give departing Glasgow coach Gregor Townsend a finale to forget, albeit that Warriors won the trophy 43-41 on aggregate. The sides will renew hostilities at BT Murrayfield on Saturday, with the Warriors hosting the second leg a week later. Now Glasgow are ten from ten in the league, playing a brand of rugby that is the devil’s own work to halt when the passes stick as the Warriors run through the gears until you don’t know where the last attack went never mind where the next one is coming from. Back in the day, I suggest to Cockerill, he would simply have instructed someone to target Finn Russell but life isn’t so simple or so thuggish in these enlightened times. “There are too many cameras around,” the Edinburgh coach responds with a gleam in his eye that suggests he is only half joking. “There is no doubt that Ali Price and Finn and Hogg, if he’s playing, are the heartbeat of that side. If you can get to the 9/10 combination and put them off their game they are not the same side but saying it and doing it are two different things. “Price, Russell, and Hogg are world class, they would grace any team. We don’t have players of that calibre so the sum of our parts have to be better than the brilliance of their individuals. “We have to be exceptionally physical. We can’t go into the game just to stop them playing and hope to kick a few more penalties than they do. We want to play and develop our game but conversely we probably don’t want to play Glasgow at their game either. Traditionally this fixture has pitted Edinburgh’s forwards against Glasgow’s backs, might the same be true on Saturday? “I don’t think we are a strong enough forward pack to just go into the game and beat them up and kick it in the air and chase it,” Cockerill replies. “I don’t think we are set up to be like that. For us to progress as a team we have to be able to do both those things [play through backs and forwards] because if Glasgow match us physically where do we go? What have Edinburgh achieved thus far? The convoluted Pro14 season with its twin conferences and contrived schedules means that the second half of the league season is going to be a lot harder for Edinburgh than the first was. There are signs of life in the Lazarus that was Edinburgh Rugby – the club tops the Opta tackle completion numbers at 90 per cent which takes energy and commitment. These tackle stats are a reasonable proxy for club morale which seems buoyant but Edinburgh have yet to beat any decent opposition, something Cockerill is painfully aware of. 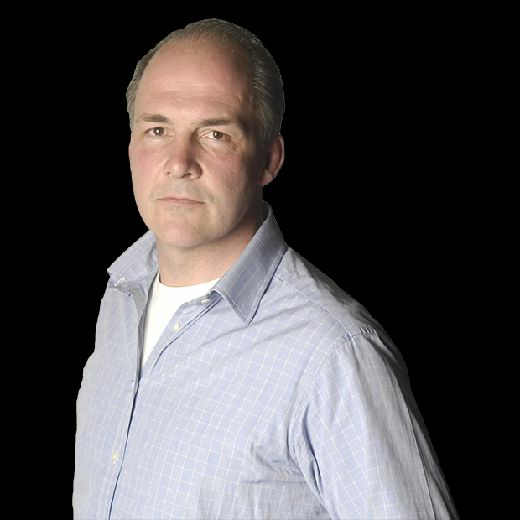 “I am a realist and I am not getting as excited about Edinburgh as some,” says the Englishman. “We have played three decent teams, Cheetahs, Leinster and Scarlets and we have not come away with a result. He is right, Glasgow are better, but Edinburgh are finally learning the meaning of hard work. They have been playing at professional rugby this last decade, now they are rolling their sleeves up and beginning to work at it. When he first arrived at Edinburgh, the only players hanging around after training to do their “extras” were three goal kickers whereas now Cockerill claims a host of players have to be chased off the pitch by the groundsman. Cockerill has been at this game too long not to indulge in a little expectation management and he duly talks up Glasgow as if those European defeats where naught but a bad dream. But the Englishman is also an emotional character – don’t sit your local minister anywhere near the coaches’ box during a match – and he becomes so enthusiastic when promoting Edinburgh’s own up and comers that he completely forgets his brief to big up the opposition. 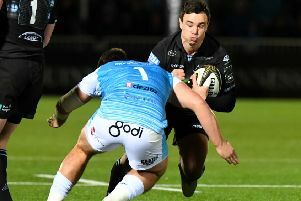 The coach likes the look of young Edinburgh scrum-half Charlie Shiel and he places Stuart McInally amongst the best hookers in world rugby right now. Cockerill insists that, given time, Blair Kinghorn will challenge Stuart Hogg for his Scotland shirt and lock Lewis Carmichael is going to be a “very, very good player”. Elsewhere young breakaway Lewis Crosbie has shown every academy player what is possible with sheer hard graft. “There is so much upside here,” Cockerill claims, “we have not scratched the surface. We are not far away from competing with Ulster or the Scarlets. That will take a little bit of time but actually it [Edinburgh] is a great place to live and bring up kids and the rugby is really good. “Suddenly it looks quite positive doesn’t it?” And with that thought he seems to have surprised even himself.